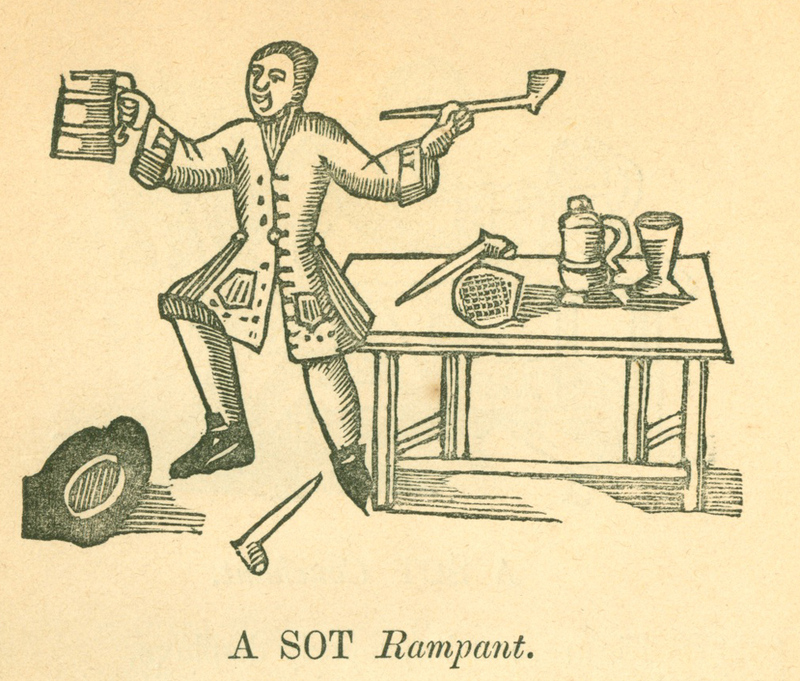 A few days since, two Excise Officers came to Mr Harwood’s Brew-house near Shoreditch to Gage the Liquors, but instead thereof, finding several of his Men drinking hard therein, sate down with them, and tipled so heartily with them, as to be thoroughly fudled. In the meantime the Surveyor came, and finding a Guile of Beer not set down in their Accounts, made a Report to the Commissioners, that Mr Harwood had caused his Men to make their Officers drunk, in Order to defraud the King of his Duties; So that a Tryal is likely to ensue thereupon, which may be very expensive to Mr Harwood, and be Instructive to others of the same Occupation. Beer history geeks will recognise Mr Harwood, brewer of Shoreditch, East London as Ralph of that ilk, the man identified, incorrectly, by John Feltham in 1802 as the supposed inventor of porter “about the year 1722” (ie two years before the adventures detailed above) as a replacement for a mixed drink called three-threads. It’s a story that went round the world. As early as 1812, German beer lovers were being told that ‘Der Brauer Harwood brauete den ersten Porter.’ In fact Ralph did nothing of the sort, and porter wasn’t developed to replace three-threads … but you knew that. Porter was the first commercially brewed beer. It was named for the train porters who were its original servers and consumers , and became hugely popular in 18th & 19th century Britain. Train porters in the 18th century … and nobody was brewing commercially before then … sometimes I wonder why people like me and Ron Pattinson even bother.